The cello is a member of the violin family but is far too big to hold on the shoulder like the violin and viola. It must be played seated and uses an endpin to rest on the floor in front of the performer. The strings are much thicker than those of the violin and viola, making a lower sound. The strings are tuned a full octave lower than the strings of the viola. It was invented along with the violin around 1550 by the Italian instrument maker Andrea Amati. They were patterned after a similar instrument called the viol. The cello typically plays an accompanimental role in orchestras and in various chamber ensembles, though they do get the melody line a reasonable amount. It is one of the most beloved instruments for its incredibly rich dark sound in the low register and it’s brilliant singing sound in the high register. Some of the most popular pieces for the cello are Bach’s “Prelude” from Suite No. 1, The Dvorak Cello Concerto in B Minor, “The Swan” from Saint-Saëns’ Carnival of the Animals, and Tchaikovsky’s Rococo Variations. 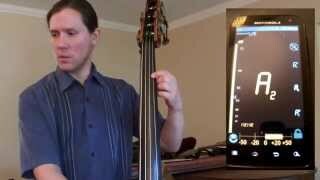 The cello is a great choice for someone who likes to try something different from the most popular option. With the majority of people choosing the violin, those who don’t want to follow the crowd feel comfortable with the orchestral instrument that is quite different . . . but not so imposing as the double bass. 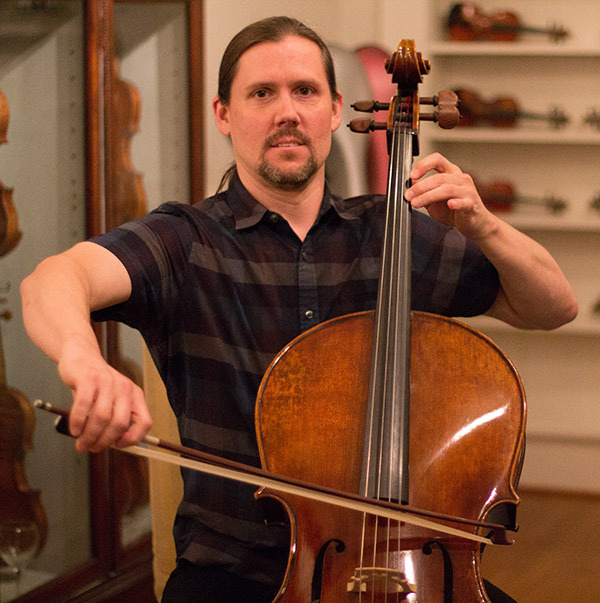 The cello is regarded as a superior solo instrument to the viola for the acoustic qualities it displays, since it’s greatly increased size allows for more resonance and projection. Learning the cello can be great fun and requires a lot of practice. We believe that the best way to get started is to play music that you like right away. You’ll need some instruction on the proper way to set up and tune your cello before starting and also how to learn from The String Club scrolling tablature videos. Watch the videos below and then try your hand at some of the beginner songs that we have selected if you are just getting started on your journey to cello playing. A great way to get started on the cello is to have a fun experience with playing music you know. 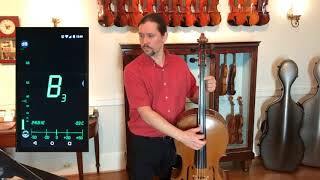 Our scrolling tablature cello videos are like playing a video game, except you are learning real music! Try playing along with these easy songs to get used to following the scrolling tablature. It is the easiest way to start learning fun music right away and you get to play along with backing tracks for a richer musical experience. Here are some articles that will help you practice the right way, develop the right attitudes for success in music, and assure that you are on the right track for your musical growth. Its important to learn proper playing techniques, but it is equally important to "learn how to learn" a musical instrument. 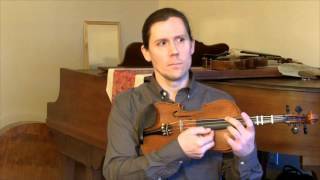 If you have poor practicing habits, you may find that getting better at your instrument is an extremely slow process even though you are committed to it and practicing regularly. Practicing the right way can supercharge your learning! Have you already been playing for a while? If so, you may be ready for some more challenging pieces. 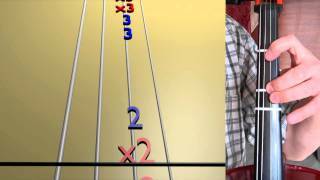 Here is a selection of enjoyable music to get accustomed to our scrolling tablature videos. Some of the music here will require more challenging hand shapes, faster notes, and shifting into higher positions. The great part of playing along with the scrolling tablature is that you can slow the music down to focus on the skills you need to build and make a practicing loop to work on the hard parts over and over.